We have created complete visual identity where a blue color represents their brand in a context of sport and tourism. “Biking. Adventure. 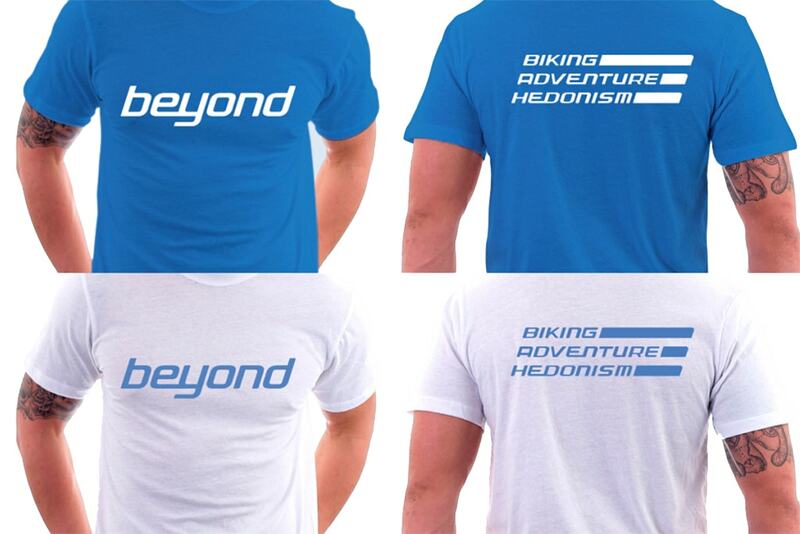 Hedonism.” is a business catchphrase and life philosophy of our clients from Beyond agency who organises luxurious cycling tours, excursions and active vacations. 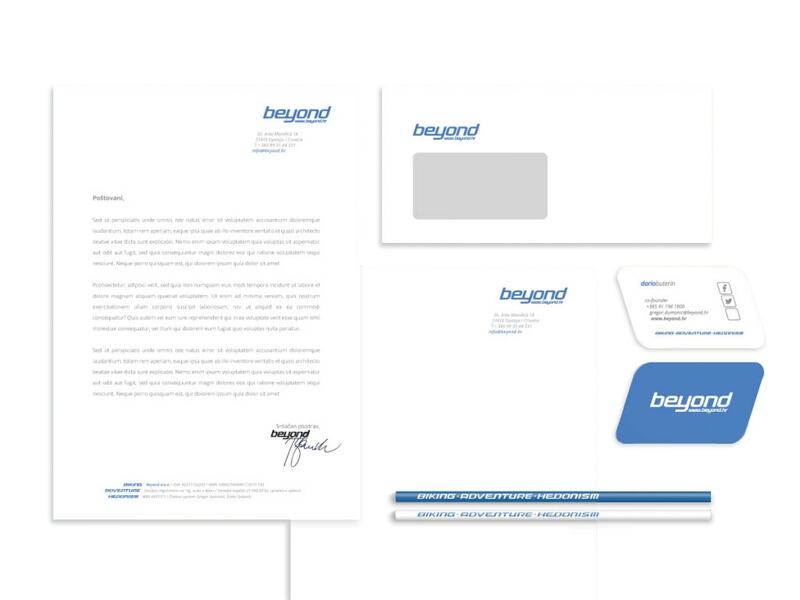 We have created complete visual identity where a blue color represents their brand in a context of sport and tourism. In this case the color connotes the color of the sky, where there are no limits. Logo of the company is made from a typographic part which by its shape associates on movement and dynamics. Small letters bring a dose of exclusiveness and blue colour symbolize also trust, safety and strength. All the attributes represent Beyond as a place with unlimited possibilities.